Money Q&A: Is it going to cost more to play the National Lottery? Q: Is it going to cost more to play the National Lottery? A: Yes, Camelot has announced recently that the cost of playing the National Lottery is to double from £1 to £2 this autumn. It is the first time the cost to play has increased since the National Lottery was launched in 1994 and, to soften the blow, Camelot have announced that the prize for three matching numbers (the most commonly claimed prize) will increase from £10 to £25. For four matching numbers, the prize will increase from £60 to £100. And the average jackpot amount will also increase to around £5 million for Saturday draws and £2.5 for draws on a Wednesday. However, it’s not so good news for the winners who match five balls. The prize for this will drop from an average of £1,500 to £1,000 and for five balls and the bonus ball, the average prize will drop from around £100,000 to an average of £50,000. 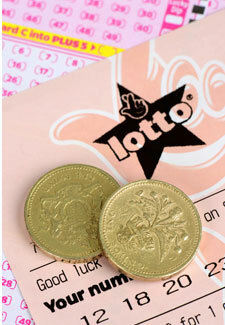 There will also be a Lotto raffle alongside each draw, where 50 winners will pocket £20,000 each. So will you keep playing? With odds of one in 14 million of actually scooping the jackpot, I would say stop now and instead set up a regular standing order of £2 a week into a cash ISA with as high an interest rate as you can find. Try Ulster Bank’s instant access cash ISA that has an interest rate of 2.5% . HAVE YOUR SAY! Have you got more advice to offer on this question? If so, make sure you add a comment in the box below. Plus, if you’ve got a great money saving tip, send it to our money expert for a chance to win £25!